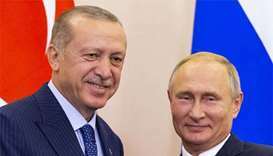 After negotiations in Sochi on Monday, Russia and Turkey agreed to create a demilitarised zone around the opposition bastion. 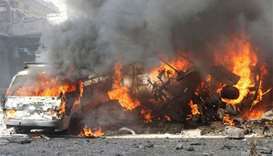 The death toll is expected to increase as some of the 60 injured in the strikes were in a critical condition, he said. 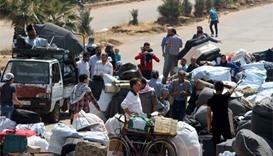 Nearly 3 million people are believed to be in the Idlib region, their numbers swelled by fighters and civilians who fled Syrian army advances elsewhere in Syria. 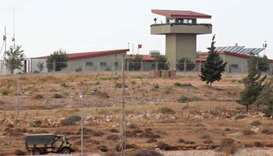 Turkey sent a convoy of about 30 military vehicles into rebel-held northwest Syria through the Bab al-Hawa crossing in Idlib, rebels and a witness said. 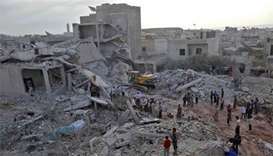 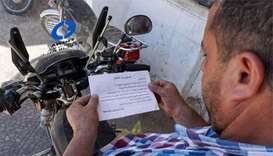 The Syrian Observatory for Human Rights said the strikes on the market in Idlib province's Maaret al-Numan were probably carried out by regime forces. 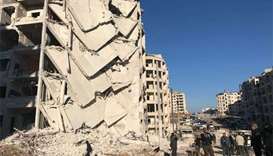 Syrian rebels began to leave the last opposition-held district of Homs city on Saturday under an evacuation deal that will see President Bashar al-Assad's government take back the area.